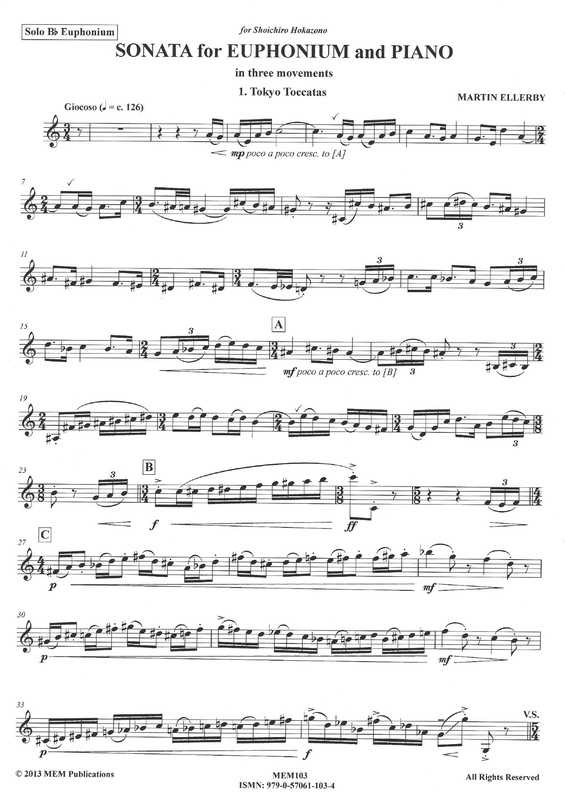 The work is designed as a recital piece in three movements and was composed as a gift for the Japanese virtuoso Shoichiro Hokazono for having made the first recording of the orchestral version of the composer's Euphonium Concerto with the Osaka Philharmonic Orchestra conducted by Tatsuya Shimono released on the Kosei label in in Japan in 2008. A giocoso piano figuration forms the backdrop to the first subject which makes five appearances (the starting phrase becoming shorter and the ending phrase longer each time) against which the solo part plays a free fantasia style line in lyrical mode which gets more and more animated on each reoccurrence. A second subject provides a foil to this material with the piano adopting a more chordal 'vamp' style against the soloist's contrasting scherzando line. This subject also occurs five times losing a bar at its start and one at its close each time. The briefest of codas concludes the movement at the point where parts of the subject matter have run their course and have no more material to lose. 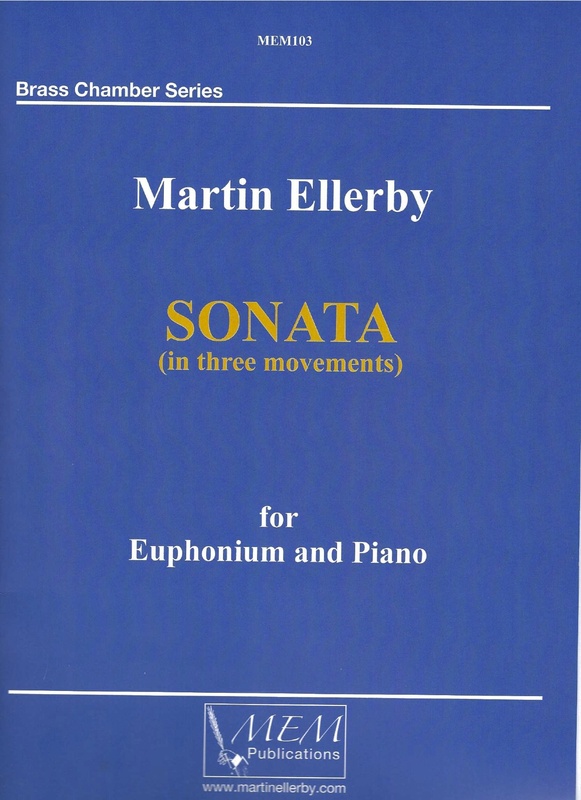 This is the most intellectual of the sonata's three movements though the challenge was to not make it sound so. I once read in an academic tome somewhere that this kind of thing is 'permissible' in first movements! In April 2013 I was in the USA as composer-in-residence at LIU (Post) on Long Island, New York State. The university was very close to Oyster Bay where I knew the British film music composer John Barry had a residence. A little research narrowed this down to Center Island and my host very kindly drove me down this exclusive drive with its private police station and waterside palaces. Although Barry had passed away in January 2011 for me his presence was all around and this, the work's slow movement, is a tribute to him. Written in a free style with no tricks or devices, except for a hint at a harmonic progression suggested by Barry's score to John Schlesinger's 1969 film Midnight Cowboy, here is a moment of repose and reflection where the 'brass cello' can sing its cantabile line in salute of the fallen hero. A melting pot of Bartok, Stravinsky and Bernstein type allusions provides a dynamic finale where the soloist can display dexterity and virtuosity in measure. Both instruments in this sonata have been equal partners and here they combine towards a flamboyant and absolute conclusion. The first performances of this work were given by Shoichiro Hokazono (euphonium) and Ami Fujiwara (piano) on a concert tour of five Japanese cities in November 2013.